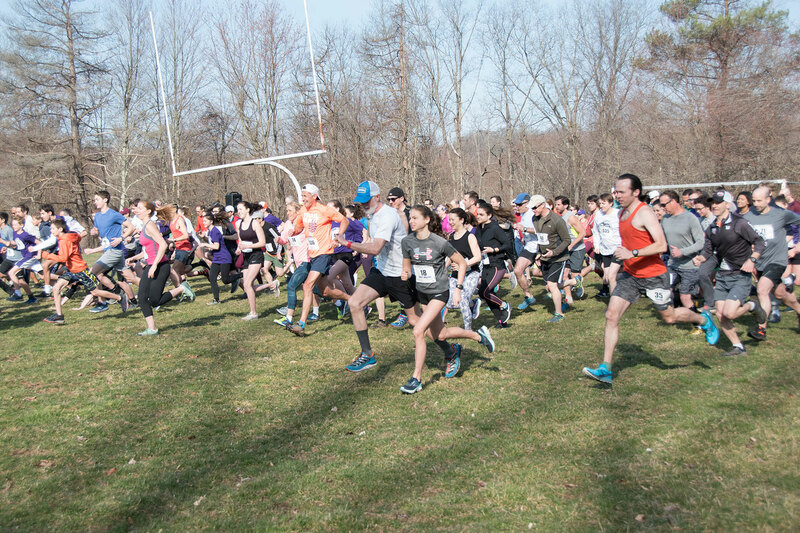 On Sunday, April 15 the John Jay Cross Country and Track & Field teams, together with the John Jay Boosters Club, will inaugurate the new John Jay Community Trail with a 5k trail race. 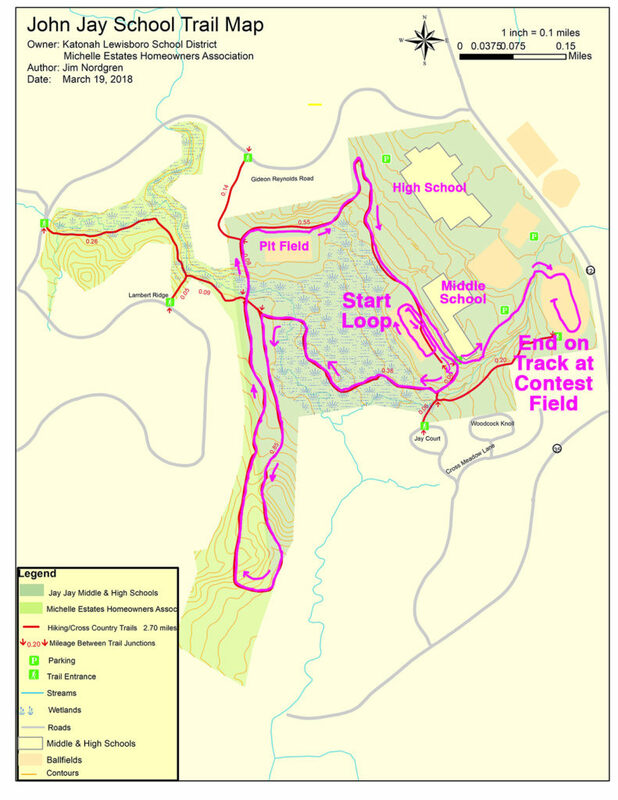 The trail winds two and a half miles through the fields and woods of the John Jay Campus and was originally conceived by Coach Tom Nohilly with the mapping and survey help of cross-country athlete David Gordon JJHS ‘15. The trail clearing has been underway since 2013 with the help of students and community volunteers and the trails are usable now. Members of the John Jay Cross Country team run across Bridge #1. Registration is underway online at jjtrail.org. Already many high school students – and a significant number of parents — have signed up. The first 200 registered runners will receive the inaugural race t-shirt. 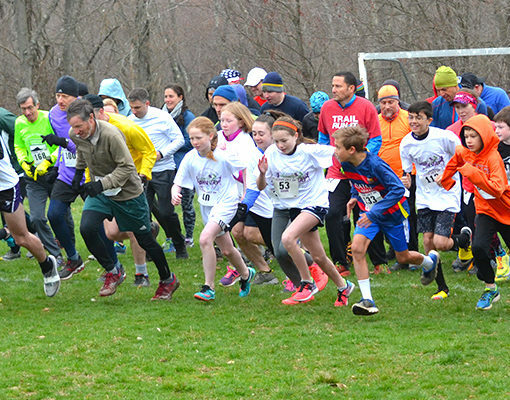 Student and parent race organizers have been working hard to get local sponsors for the race. Goldberg’s Bagels, Cross River Pharmacy, Cross River Shell, and Northern Westchester Hospital were among the first sponsors onboard. In addition to runners and sponsors, race organizers welcome anyone who would like to volunteer on race day to help out. All ages will have a role to play – more information is at the race website. The John Jay Community trail project was initially conceived in 2013. The Katonah-Lewisboro Board of Education took lead agency role in late 2015. The completed trail has been a long time coming and will be a great asset to the school and community for decades to come. Plans to host John Jay Cross Country meets this coming fall using the trail system meant the bridges had to be built to a much higher standard than the log bridges initially constructed to cross the four-season stream. The bridges had to be at least six feet wide and sturdy enough to handle a crowd of cross-country runners bounding over them. In addition they also had to be wide enough to handle the school’s Gator utility vehicle in case an injured runner had to be evacuated from the course. In addition to labor, the bridge building requires a lot of material and lumber. The four main beams are 25 feet long and weigh in at 750 pounds each and had to be specially ordered from a large lumberyard in Brooklyn. They are essential to the strength and durability of the bridges. A few Cross Country parents have donated significant funds through the John Jay Boosters to underwrite the material purchases for the bridges. 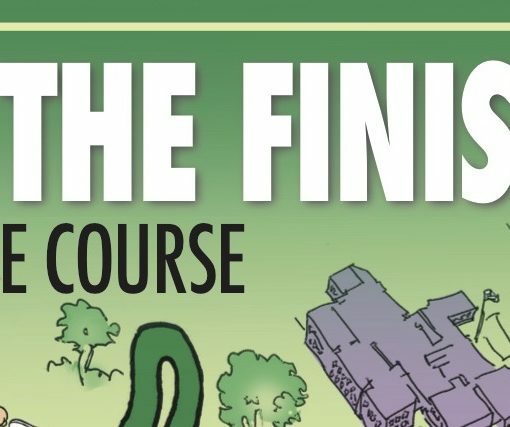 Recently with the race coming the organizers have sought donations from a wider group and have gotten $2,000 in additional donations already with more needed to finish the full cross country course by the Fall. Students and community members placing the first of four large 25 foot long 8″x14″ beams in February 2018 across the north branch of the Cross River in the woods of the John Jay Campus. Community and student volunteers have done all of the labor on the project so the only cost has been materials. Some workdays are focused on specific tasks and need only a handful of volunteers. Other workdays are “all hands on deck” and the call goes out far and wide to the team and town volunteers. One example of the latter was moving the 750-pound beams by hand down to the work site. In December, members of the Track & Field team did a rope carry of the beam from “the pit” field through the trail to the bridge site a quarter mile away. Twenty-five volunteers took hold of a rope snaked underneath the beam and walked the beams into the staging area near the bridge location. It was a true example of many hands making light work. In addition to the trail system entrances from the schools, there are also access points from Orchard Square Shopping Center, Michelle Estates, and The Meadows. The trail is open to the community and is becoming a well-used amenity for residents and visitors. Race registration is open now at runsignup.com/jjtrail. Donations can be made via this site as well. If you are interested in sponsoring the race, please contact jjtrailrace@gmail.com. 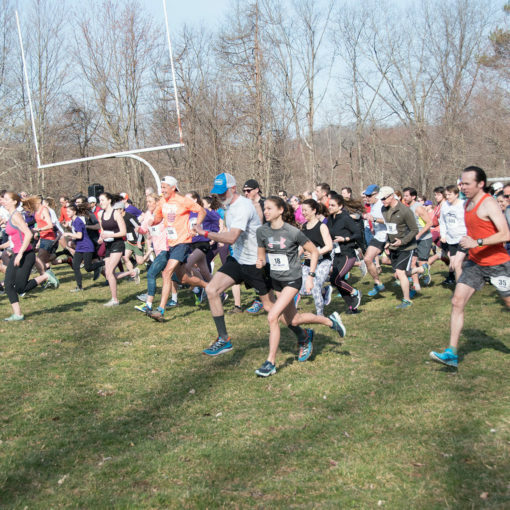 The John Jay 5k Community Trail Race is back! Date is Sunday, April 7 at 9am. And due to popular demand, we are adding a 4k “Jay Walk” and the 200 meter Kids Jay Dash for elementary school age kids.